Annotation: I Spy a Mouse in the House! is a fun rhyme-matching game designed to help build phonemic awareness and develop vocabulary. 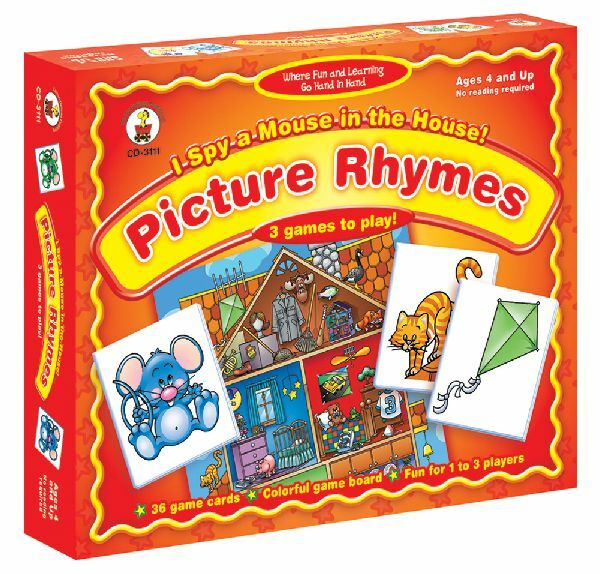 Perfect for 1 to 3 players, children identifying rhyming objects in the house and collecting game cards to win. The set includes 36 durable cards, a colorful game board, and an activity guide for 3 different games to play.